Don D. Thornton Ministries, Inc.
Don has been in full-time evangelism since 1973. He is available for concerts, revival music, pulpit and/or music supply or interim. 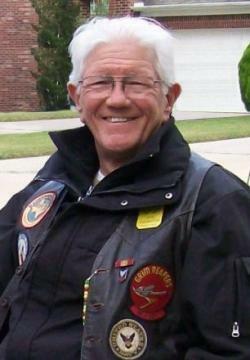 As a 65-year veteran motorcycle rider, he also ministers at secular and Christian motorcycle rallies through the Redeemed Riders Chapter #654, of the Christian Motorcyclists Association. It is his goal to present music that honors the Lord, edifies the church and draws the lost to Jesus Christ. Don has preached and sung at revivals in Nicaragua on two occasions and another trip to Guatemala to deliver motorcycles to indigenous pastors, provided through the Christian Motorcyclists Association. He also serves as Staff Evangelist at First Baptist Church, Fairfield, Texas.